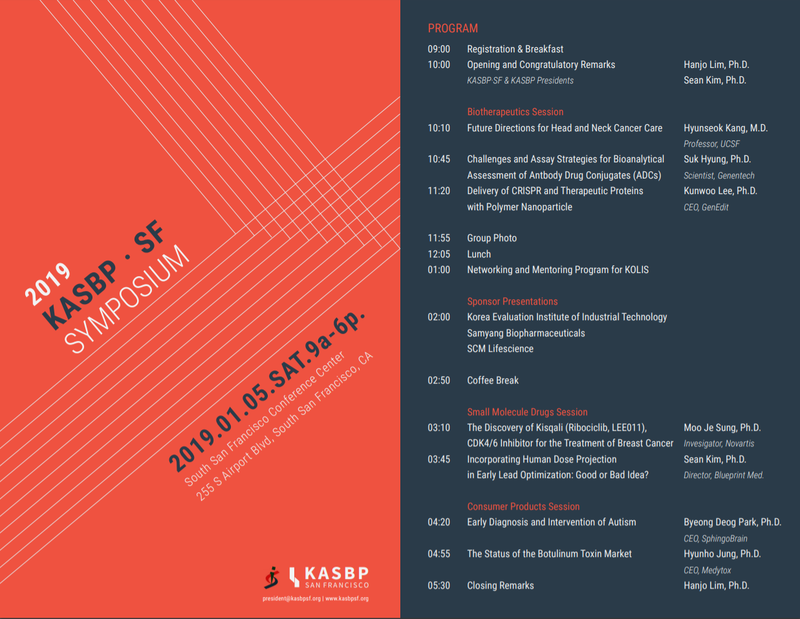 KASBP is a Korean-American professional community in biotechnology and pharmaceuticals. Please join us and become a part of our growing network of industrial & academic scientists and business leaders. To learn more about us, please click here.